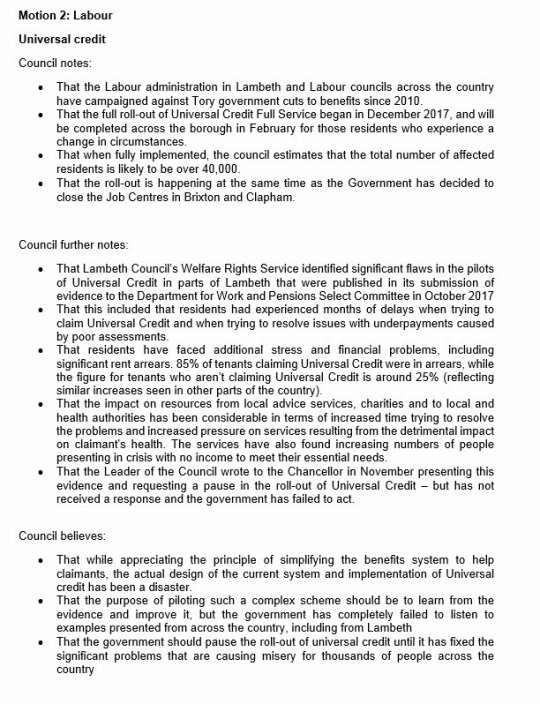 Last night, Lambeth Council debated the rollout of universal credit, calling on the Conservative Government to listen to the examples from across the country on the flaws and failures of the rollout, and to pause the scheme until it has fixed the significant problems that are causing misery for too many residents. 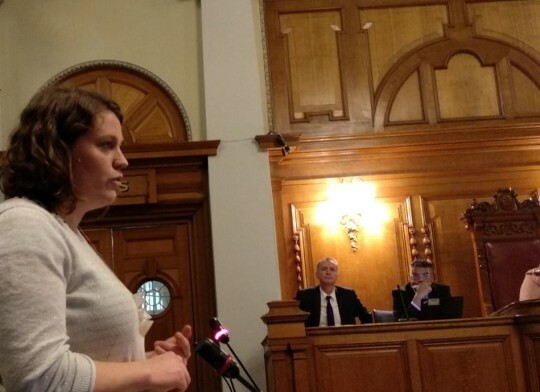 Thurlow Park councillor, Anna Birley, spoke in favour of Labour’s motion – standing up for residents impacted by benefits cuts and sanctions, calling for proper funding for local councils to provide support and a national safety net which doesn’t push people into poverty or harm. want to talk about financial resilience. she could no longer afford the bus fare either. 38% of all Lambeth tenancies. their job, gotten sick, or broken up with a partner and had to move house. together can disrupt the only assistance people are getting. proud of the support that Lambeth provides its residents who are struggling. Posted on January 25, 2018 by thurlowparklabourTagged benefits, financial resilience, full council, universal credit.